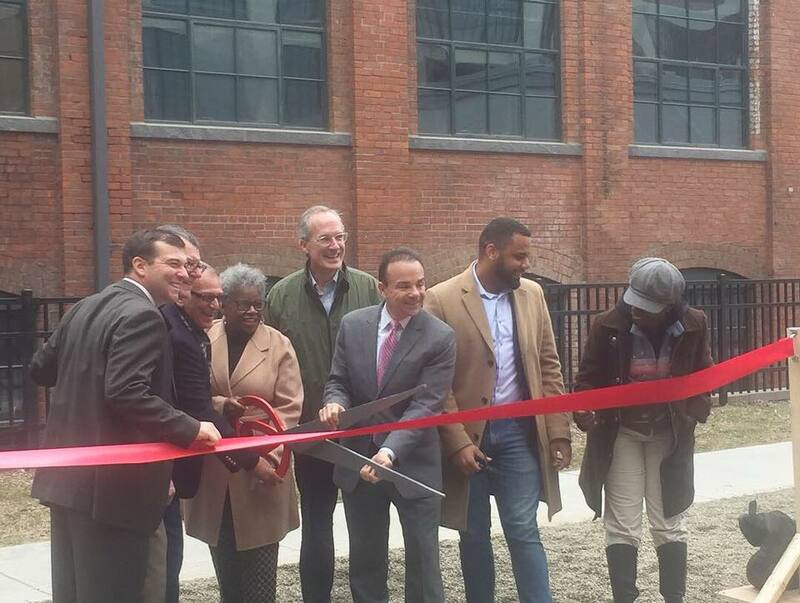 Marilyn Moore and Joe Ganim cut ribbon to opening of Cherry Street Lofts in West End. State Senator Marilyn Moore says she’s leaning toward challenging Mayor Joe Ganim who is seeking another four-year term. She expects to make a final decision about her intention next week. Moore brings a base of support representing Connecticut’s 22nd District that covers Black Rock, West Side and North End. On Wednesday she received the oath of office for a third two-year term so it’s a free run if she gets in the mayoral race, albeit during a high-profile legislative session. The largest immediate question is fundraising. She’s used to raising small dollar amounts under Connecticut’s Citizens Election Program of publicly funded campaigns, not available on a municipal level. 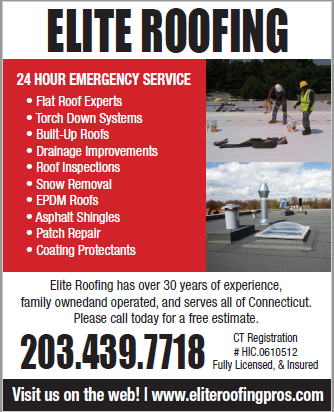 Ganim will be well financed with strong political support. Moore, who has positioned herself as an outsider, will need to build a campaign infrastructure outside the establishment. Ganim’s in full campaign mode leveraging the power of incumbency to the cause of another four-year term including a Thursday announcement that the state will finance half the cost to build a new Congress Street Bridge. Moore’s options could be a September primary challenge, a general election run as a petitioning candidate or under the Working Families Party banner that has supported her in State Senate runs. Only one incumbent mayor in the history of the city has been defeated in a primary. That occurred in 2015 when Ganim defeated Bill Finch. Moore defeated incumbent Anthony Musto in a 2014 primary on her way to a general election victory. Senator Marilyn Moore. Please step up and bring together the People of Bridgeport who really care about Bridgeport. I am certainly willing to help;knock on doors ,whatever. Ganim,Testa and the present Democratic Town Committee don’t bit about Bridgeport. Joe Ganim has boundless ego. Ganim I and Ganim II saw Ganim using his position of Mayor of Bridgeport to find some new place for himself outside of Bridgeport. Ganin just wants to use the good people of Bridgeport to get out of Bridgeport. Mario Testa,Chairman of the Democratic Party is another one who cares nothing about Bridgeport. Testa is like some type of old-fashioned Mafia family leader;he wants people to kiss his ring and he wants RISPETTO. He deserves no respect at all. Senator Moore,in your years as a State Senator,you have shown an independence but also an integral care about what is happening to the People of Bridgeport. This is what we need now. WE NEED MARILYN MOORE NOW AND FOR THE NEXT FOUR YEARS. 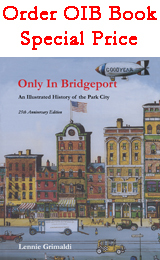 ** Ganin,Testa,present DTC don’t care a bit about Bridgeport. and let’s not wait. LET’S ROLL!!!! Let’s remember..our new Governor..Ned Lamont…had State Senator Marilyn Moore as his FIRST choice to be the Lieutenant Governor on his Democratic Ticket. And no one should forget that. Whether it is Moore, Lopez or another strong candidate, there must be ONE. Too many politicians seek public office to enrich themselves and see their name in the paper. The way I see it. If Stallworth and Moore challenge Joe. It will somewhat marginalize the black vote, by black vote, I mean the white and black element. Here’s some questions that actual time will tell. 🙂 How hated is Joe in the port, in the Job he has done so far? Besides the posters here on OIB, Ron and Day. How much support does he have with the black community. Bases on race alone. What black candidate will get that black vote solely because of race? Like Joe’s run for Governor, which I think is somewhat of a weak portrait of him and his lack of concern for the port, only after two years in his comeback he runs for Governor. Because if he had won surely he would have been in a more powerful position to help the city. However if Moore runs and doesn’t win she will have the same stigma Per se, but with more of an aspect the the actual abandonment of two towns that elected her, in the following election, a year in the after math. I would assume when it come to Joe’s Governor bid. He will say he was doing it because the port has be left out by those running Hartford for many years, decades. That I doubt anyone porters can deny. The Elephant in the room is the Spanish voting block. Who holds the majority demographics voting block. When will time tell? After the elections, September. 2019. That’s great! Now get your arse in gear. Come up with a list of 50 people be they friends or acquaintances or neighbors. Then talk to all of them. Get them to commit to Marilyn. If you can’t get all 50 to commit, come up with 10 and so on until you have 50. Once you have 50 people committed to Moore, repeat with an other list of 50. And ask people on your first list list to come up with 10 people each. Stop when you get to primary day. I realize that this will keep you busy all summer long but that is what it will take. It may not have to be a daily thing but it can not be a “when I feel like it” thing either. And if you want to make it easier then constantly ask all of these people you are talking to a help change Bridgeport for the better. 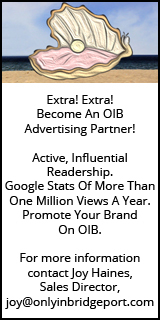 This is not a campaign that can be won by posting on OIB. Yes, that’s part of spreading the word but the bigger part is knocking on doors, talking on phones, getting people to commit to Moore on a daily basis. If you are ready, welcome on board. Judge Carmen Lopez is my candidate. I would do everything in my power to get her elected. Derek, I think Senator Moore will run against Mayor Ganim as a candidate for Working Families Party not by winning a primary. Let him use his war chest running against a lot of nobody’s in a primary which will set the Senator up to deliver the knock out punch. I hope you’re right, Mr. Donald. Opposition to Little Joe should be organized. Too many egos will spoil the party. 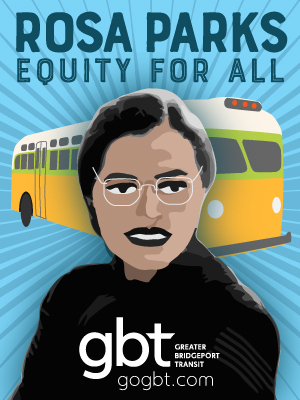 Ms. Moore would do well to build a coalition of the grass roots organizations in Bridgeport. All are opposed to the corruption and cronyism epitomized by Little Joe Ganim. A retired superior court judge and a state senator are far more attractive candidates than a convicted felon and disgraced attorney. Lopez or Moore, both strong, smart women who would make excellent mayors. Anybody but Ganim. Bridgeport Generation Now and other grassroots organizations ought to hold a conference to select and nominate a candidate for mayor. Too many pretenders will make Little Joe Ganim the only contender for the Democratic nomination. Marylin Moore has held public office for some years. She ought to be the one to challenge Little Joe and Hoss and Pa Cartright up there on Madison Avenue. Carmen Lopez will still play a part.